Share your ideas about how PB can help government, nationally and locally, work better for its people. What actions can help take PB further? 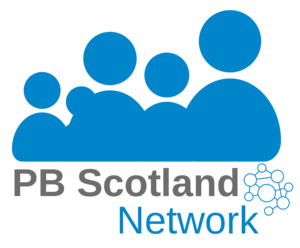 How can PB enable more people to be involved in developing public services? How can it be used more effectively to guide how public money is spent? We’ll be in touch to confirm your place soon. Come along and learn more about open government and the Open Government Partnership, meet the team and discuss your views and ideas about how we can make government work better for Scotland. The Scottish Government is part of the Open Government Partnership: an international programme to rebuild trust in governments across the world by providing a platform for reformers inside and outside governments. As Scottish Government develops the new action plan (for 2018-20) they are working closely with the Civil Society network, and other partners, to invite ideas to support their ambitions for openness and participation. This event is open to everyone whether you have been involved in PB as a member of the public, a working professional or a student. You don't need to know anything about open government, we just want to hear what you think. We're encourage everyone to take part and share their ideas in a safe and respectful space. What is open government? - speakers from the Scottish Government open government team, and the civil society open government network. The venue is fully accessible, please get in touch if you have any questions or need more information. We will try to accommodate any requirements you have to make attending this event as easy as possible for you. Please let us know in advance if you have any requirements either by emailing ingage@gov.scot or call Niamh on 07824596600 (also available on the day if you're running late or can't find the venue). Feel free to drop us a line with any questions.